Breathe in the wonders of the sea air and the beauty of the forest at the most beautiful campground. 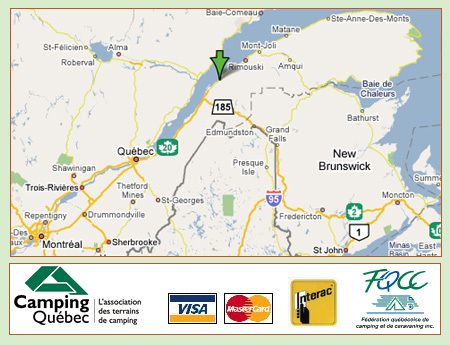 e amazed, come and surround yourself with the wonders of Trois-Pistoles' refreshing sea air from the banks of the St. Lawrence River. A multitude of outdoor activities, cultural and social events await you. 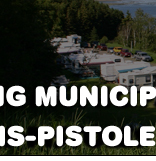 Group activities are also available: there is something for everyone and fun for the whole family in the privacy of your large private lot. 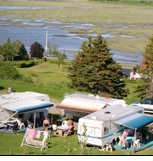 Overlooking the river, the Camping municipal de Trois-Pistoles offers you modern amenities backed by a first class administration. 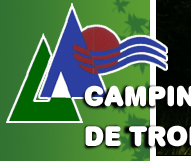 Every yearm the Camping municipal de Trois-Pistoles obtains the Recommended campground classification granted by the Conseil de développement du camping au Québec. • Hiking trails with scenic lookouts.